Documentor is a unique workshop initiative of DRI to evoke quality discourses among the young filmmakers and students of media institutions. The 4-day interactive workshop intends to create an awareness of and exposition to the high quality artistic content of actuality storytelling. The programme is taking place in small towns and underprivileged regions where storytelling ecology is completely intimidated by the mainstream commercialism. DRI with local partner institutions manages the workshops with screening, filmmakers’ interactions, analyses of content, creative approaches and artistic styles to advance the appreciation and skill of documentary storytelling in south Asian region. Invited Filmmakers/tutors - Nilanjan Bhattacharya, Farida Pacha. DRI has reached out to yet another region with the last Documentor workshop for the year 2017. This time the team went to the north east – to Tezpur in Assam. 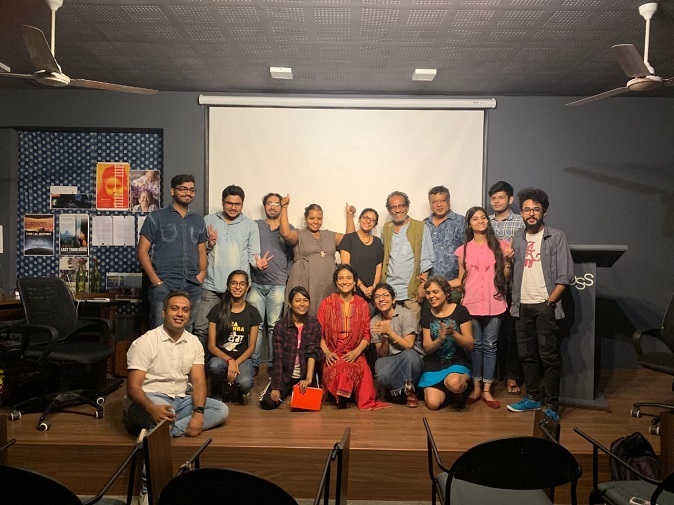 This edition of Documentor happened in collaboration with a rather special platform - the Green Hub, a collaborative initiative of North East Network (NEN), Guwahati and Dusty Foot Production (DFP), New Delhi. The Green Hub is the first youth and community based video documentation centre for recording the environment, wildlife and people’s biodiversity in the north east and offers fellowships to youth from remote areas and marginalized communities as well as urban spaces, especially those who are interested in using the visual medium for conservation and other forms of social change. The participants of Documentor@Tezpur were the fellows from the current batches of Green Hub as well as a number of their alumni including practicing filmmakers and researchers working in the social sector. 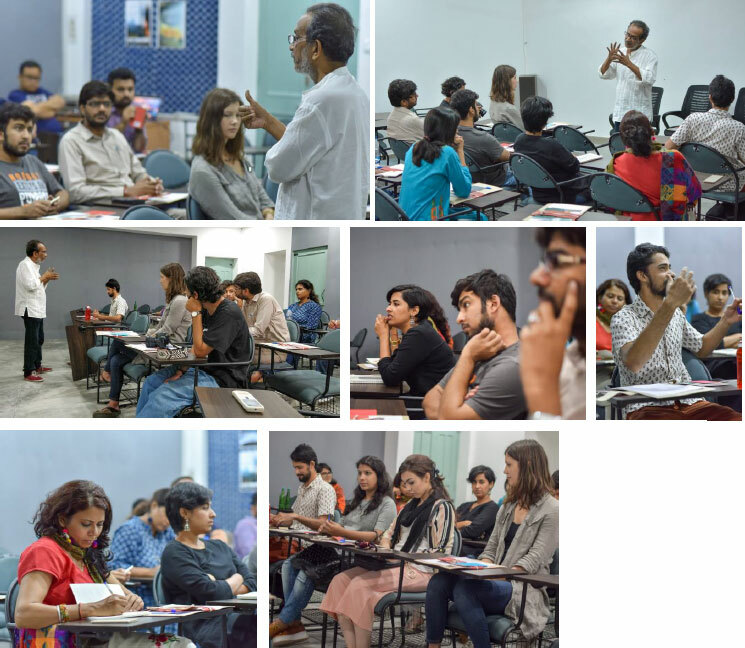 The 3-day workshop was embedded with intense sessions of initiation into the world of reality storytelling with critical deliberations and analysis on films like ‘A Syrian Love Story’, ‘Twilight Of A Life’, ‘With Or Without You’, ‘People I Could Have Been’,‘ Vivan Les Antipodas’. 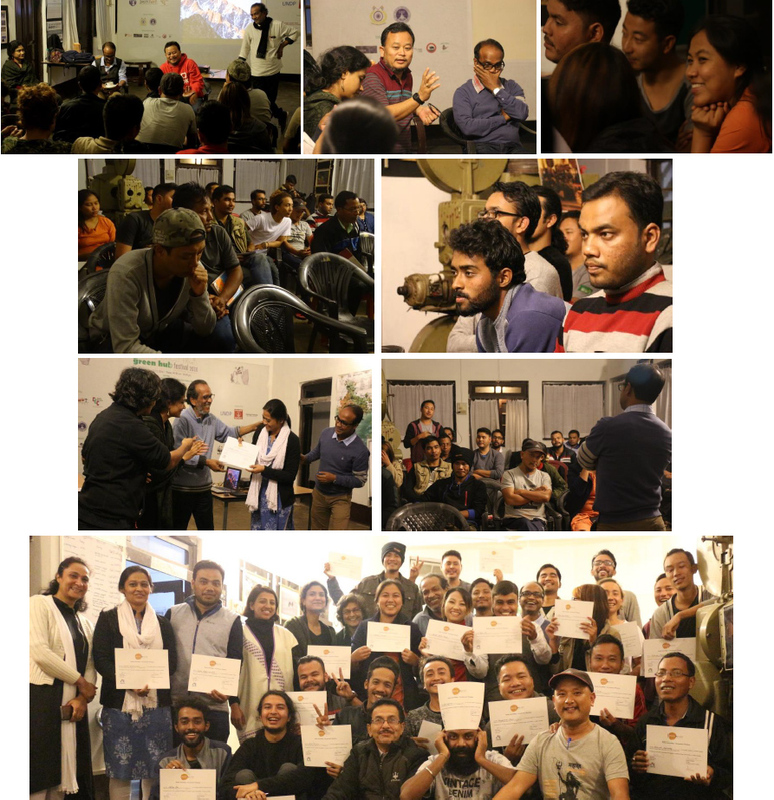 There were two films with the filmmakers themselves present for interactive sessions – Haobam Paban Kumar with his film – ‘Phum Shang’, and Bishnu Dev Halder with his film – ‘I Was Born In Delhi’. This time, we have arrived in the city of Jaipur. 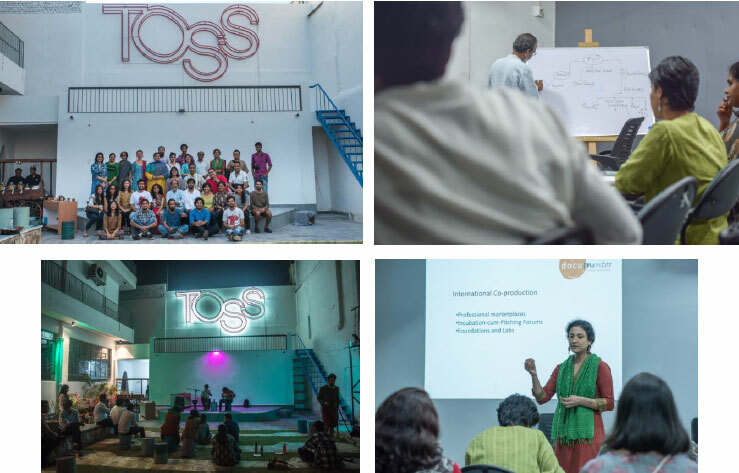 Documentor@Jaipur is being undertaken in association with TOSS - The Open Space Society- an upcoming enterprise for studies in filmmaking, photography and creative writing. 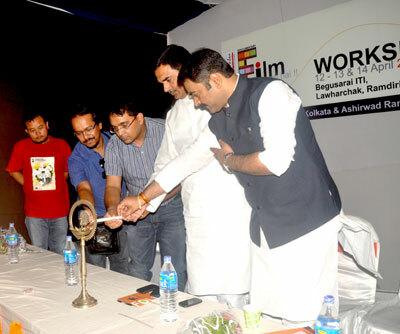 The workshop was inaugurated with a very special film - 69 Minutes of 86 Days - a film thatis now being loved and acclaimed the world over. After the screening TOSS arranged for aperformance by the local band - Project Yugm. Day 1 of the workshop started with a morning session on the meaning and implications ofthe creative treatment of reality. The participants were astounding in their enthusiasticresponses to the discussions and the clips from different films that were shown. The afternoon session was given over to the screening of the award winning film PhumShang by Haobam Paban Kumar, followed by an interactive session with the filmmaker.Inthe evening we screened yet another beautiful film - Twilight of a Life. For most of those in the audience, this turned out to be an extremely emotional experienceand many were brought to tears. The workshop camaraderie continued late into the evening with impromptu jamming sessions...! Day 2 of the workshop continued the discussions on Twilight of a Life, as the film had touched deep chords within all. It then moved on to more detailed deconstructions of forms and styles of filmmaking and the diverse approaches of authors of reality storytelling with screenings of some more clips of landmark films. In the afternoon, there was the screening of the film - I Was Born in Delhi - by Bishnu Dev Halder, of course followed by an intense spread of discussing the film with the filmmaker. The evening screening was - The People I Could Have Been and Maybe Am. As usual, the evening was rounded off on a musical note with the performance of yet another local band. Glimpses of the third and last day of the workshop. Day 3 started with a morning session on the different aspects of international collaboration and co-productions in documentaries. In the afternoon, there was an open for all session where everyone came out with all their reflections, observations and interpretations of the past two days. The films and clips shown were revisited time and again! This evening`s finale was set with a soulful performance - poetry recitals and songs... followed by a spontaneous jamming session by all participants and guests. 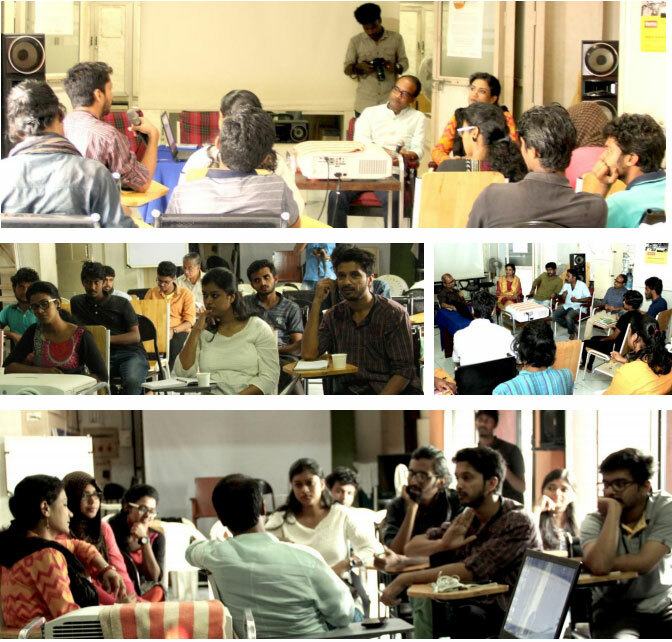 The session of Documentor at Thrissur, in association with the Chetana Media and ViBGYORFilm Festival, saw a mixed batch of youthful participants from different media institutes andfilm studies. There were also a number of enthusiastic volunteers from amongst thestudents of Chetana itself, who kept up the spirit of the workshop with their dedicatedinterest for the entire three days. 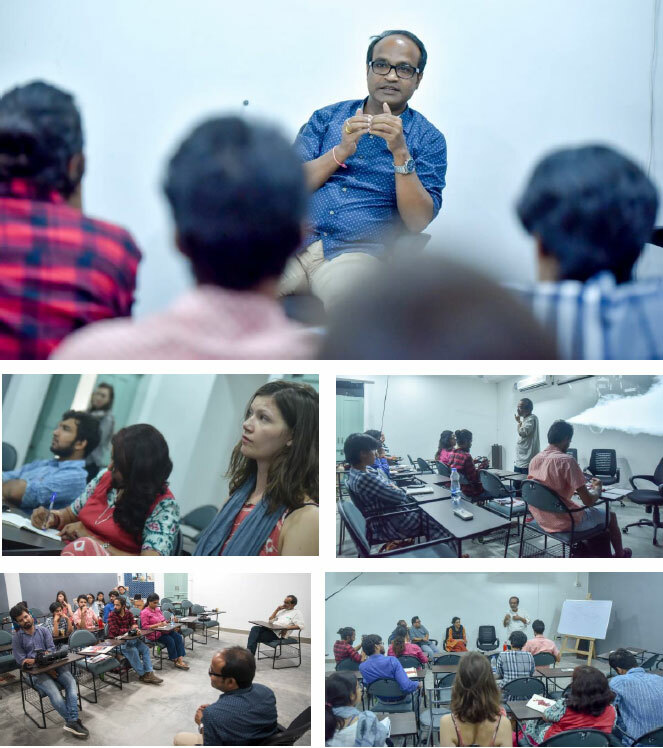 Here are some glimpses from the workshop..
Undergraduate technical students met filmmakers like Paban Haobam, Sudipta Sen, Subhadeep Ghosh followed by a day-long ‘deriving meaning by editing’ workshop.Supriyo Sen and Paban Haobam screened their films followed by discussions on content and making the films. 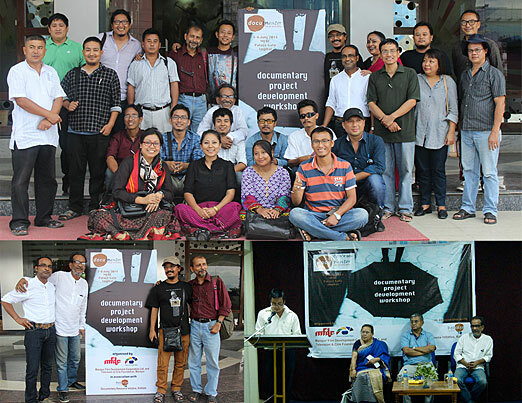 This was a 4-day project development-mentoring workshop for filmmakers of North-East.18 filmmakers attended the workshop – all enthusiastic participants working on their recent projects. 9 more young filmmakers/students participated as observers. The programme included meeting 4 filmmakers – Bishnu Dev Halder, Sourav Sarangi, Nilotpal Majumdar and Supriyo Sen who mentored them extensively on their new project ideas. Char by Sourav Sarangi, Way Back Home by Supriyo Sen, I was Born in Delhi by Bishnudev Halder- three films were presented to the participants and followed by open discussions with the authors. 13 - 15 October, 2014. Many projects mentored and pitched in DocedgeKolkata do not revisit to the city and its discerning audience because of their hectic international tours. For the first time a well-curated package of internationally acclaimed documentaries which were mentored in DocedgeKolkata, Asian Forum for Documentary, will be brought back to their incubation space where they were nurtured and relived, for further dialogue with local documentary community to experience a diverse range of artistically told inimitable visual stories. Another session of Documentor is currently under planning, to take place in Bhubaneswar, Orissa in the month of November.